My thought today is simple, short, but also challenging. Yesterday we lit the Peace candle. We prayed that Christ would bring the peace of God into our hearts. We prayed for peace with each other, peace in he midst of our struggles and bad circumstances. As I read this passage I am reminded of His peaceful voice, of His peaceful presence. I'm also reminded that we are nothing like that. We don't like being called servants, yet Jesus, the righteous King became a servant to us. We love to be heard, especially in a shouting match or a debate, Jesus however chose a quiet confidence. According to Isaiah, He didn't shout or raise His voice in public. He is gentle, a flickering flame can survive his breath, a bruised reed remain intact despite His touch. For us, it seems every day we find new ways to inflict violence upon each other. 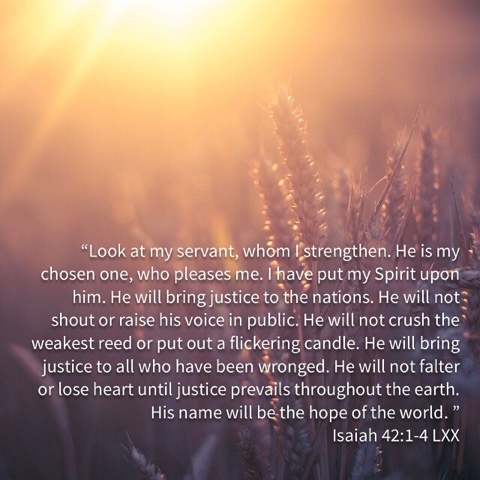 He is committed to justice, and He is the Hope of the entire world. What if we looked more like Him? What if we made those kinds of commitments? What if we led out our calling as the Church to BE the Hope and Light of Jesus to the world? What if we cared about justice as much as we cared about winning an argument? What if we stopped treating Jesus like a good idea, a moral to ascribe to, a club to join, and instead pledged our allegiance to His Kingship...what if we obeyed like never before? What if we became radical about loving others? What if, instead of praying for peace for ourselves... We became the miracle of peace in someone else's life? 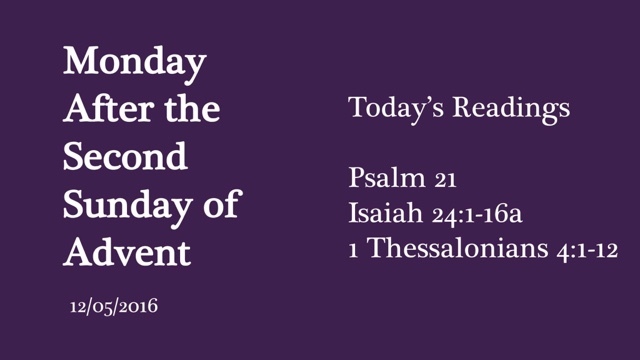 Advent Devo: Do You Hear What I Hear?